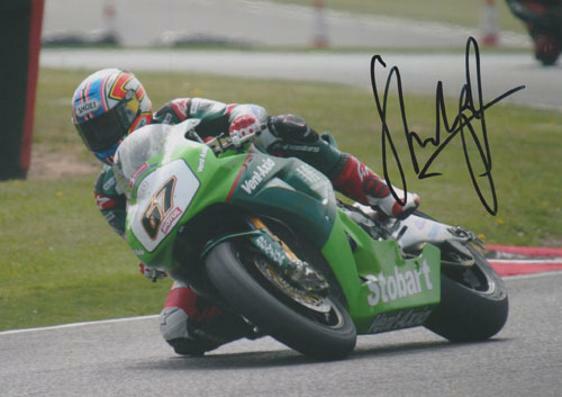 Signed #91 BSB colour photo. 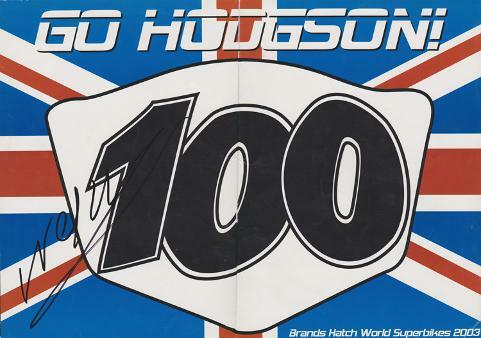 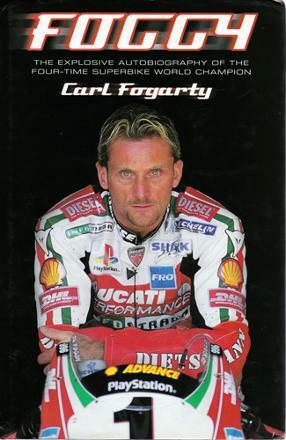 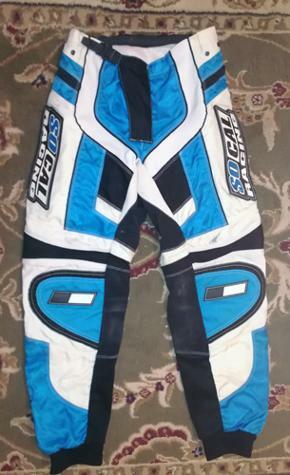 Signed 2003 Brands Hatch SuperBikes "Go Hodgson!" 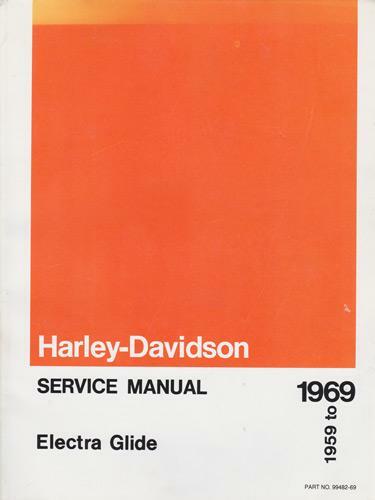 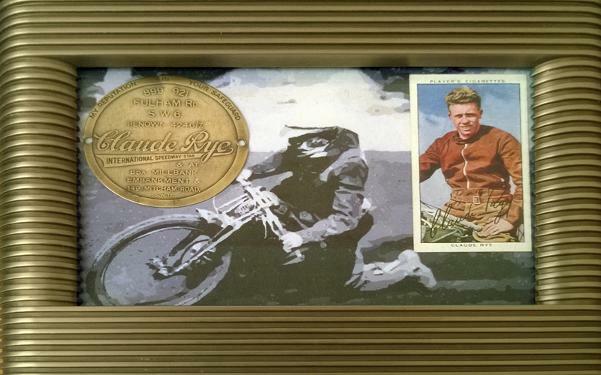 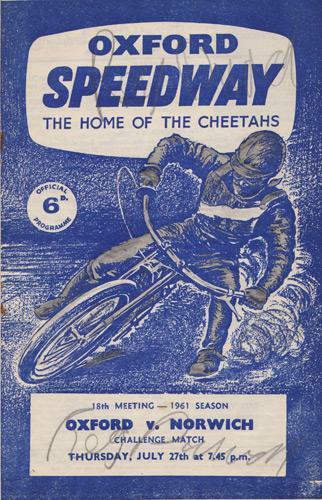 Union Jack 100 poster card (from Two Wheels Only magazine). 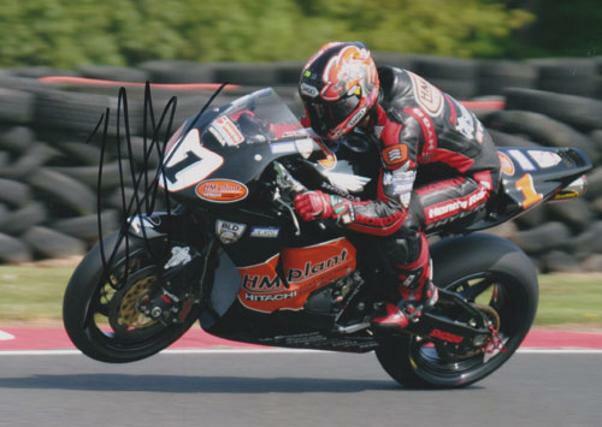 Signed #1 Honda Superbike photo. 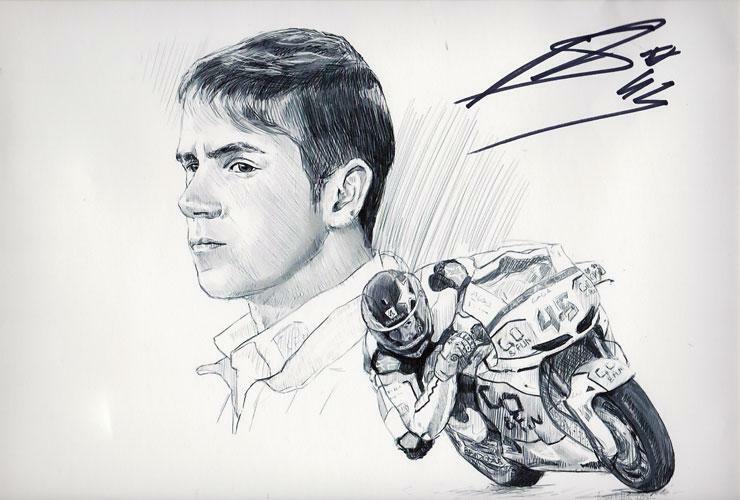 Signed "Scott Redding 45" Moto GP bike print. 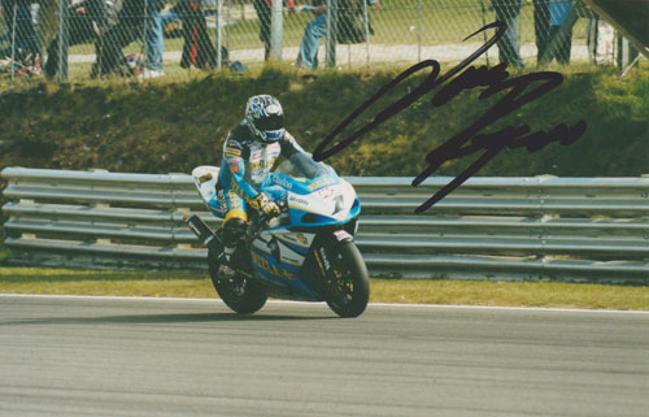 Signed Rizla Suzuki Superbike photo. 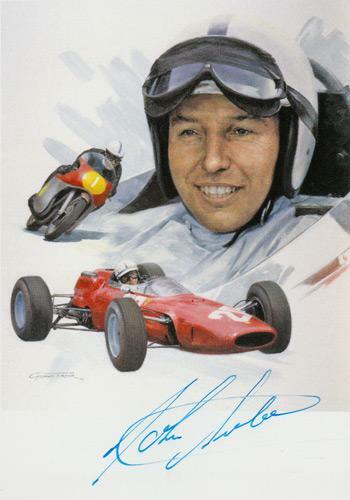 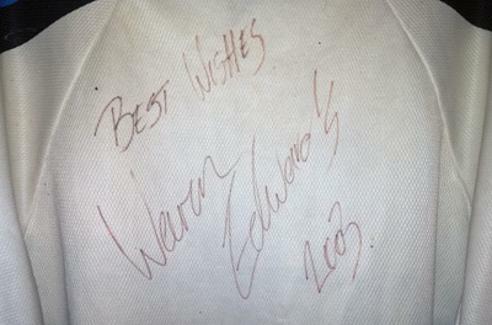 Signed "Just Amazing!" 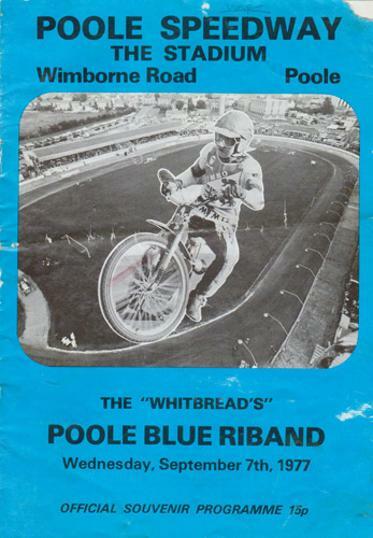 TV show promotional card from the 1983 Yorkshire television series. 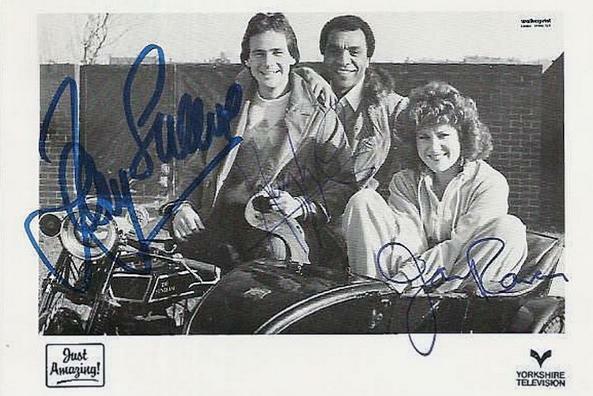 Also signed by show co-hosts: Kenny Lynch & Jan Ravens. 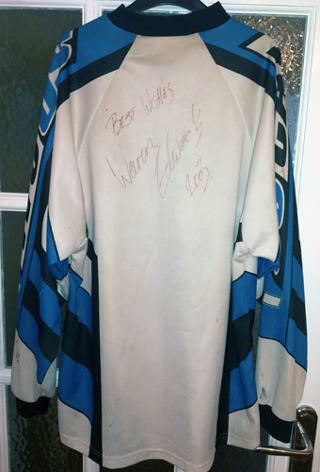 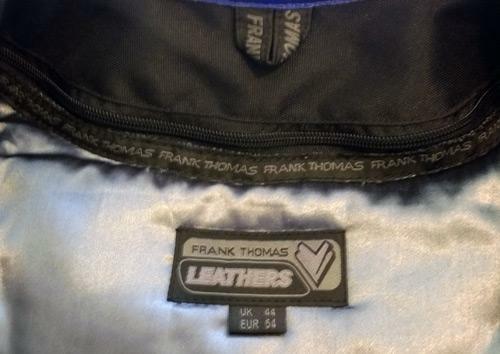 Frank Thomas Blue Motorbike Leather Jacket. 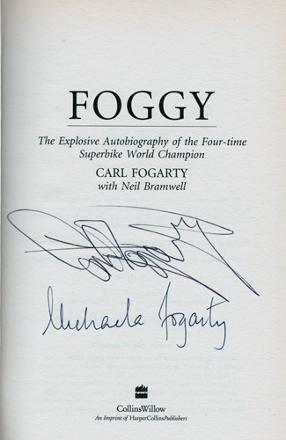 Signed by Freddie Spencer in black ink to the front. 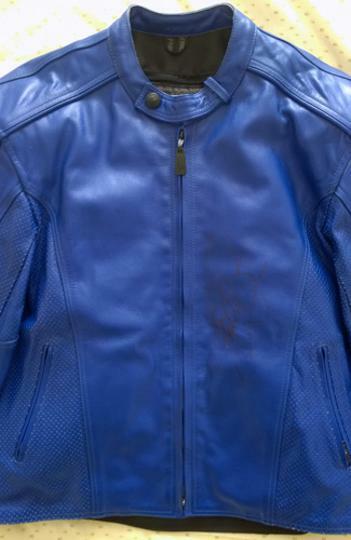 Size: UK 44 / EUR 52. 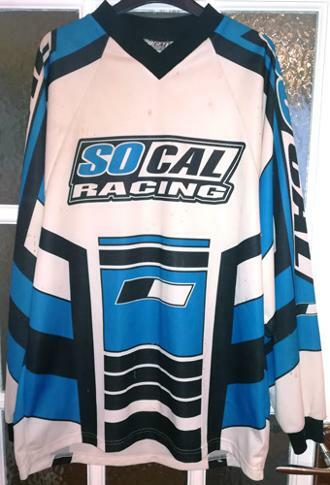 As New / Unworn. 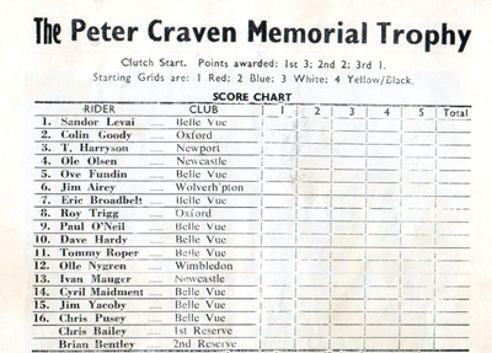 v Norwich Stars signed (twice) by Reg Duvall. 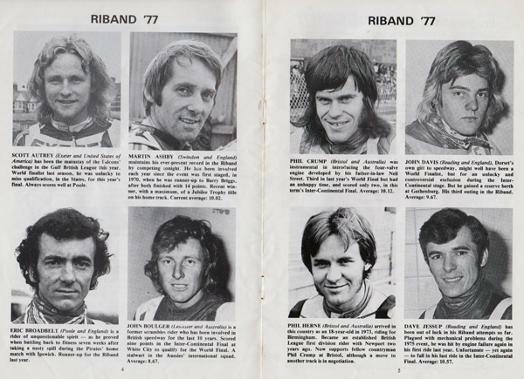 inc: Ole Olsen, Olle Nygren, Ove Fundin, Tommy Roper, Brian Bentley & two others. 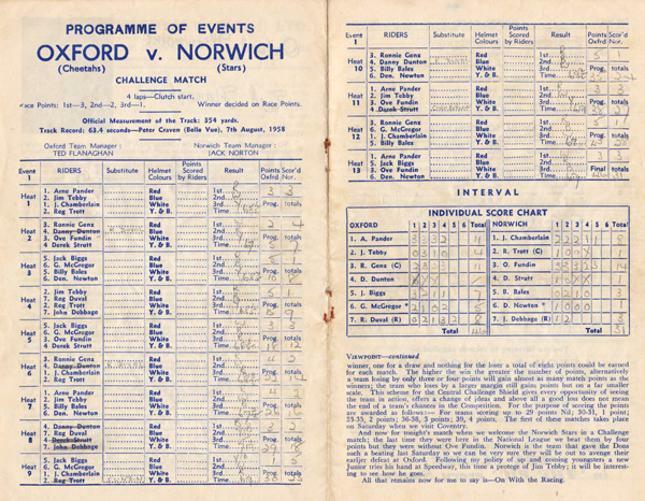 Programme has a fold across the middle. 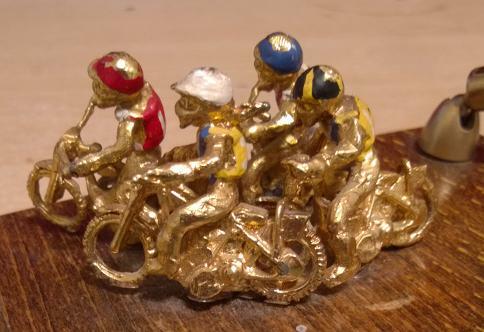 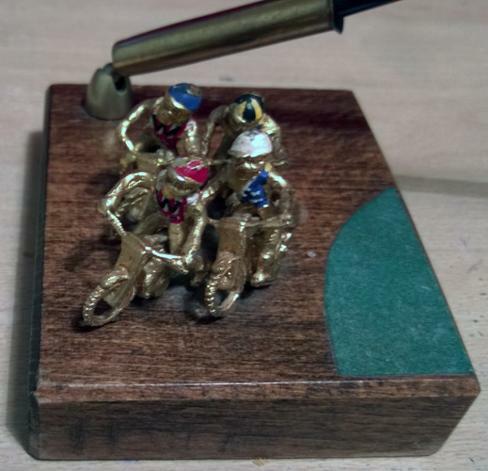 Vintage executive toy featuring four metal cast speedway riders & speedway bikes racing round the oval on a wooden base (12 x 8 cms) with a metal swivel pen holder. 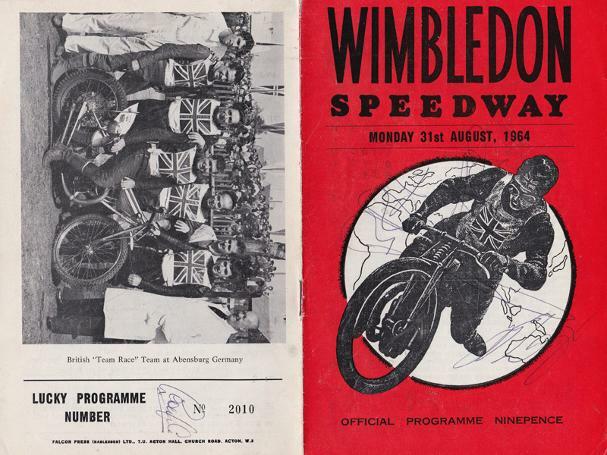 Martin Ashby, John Boulger, Phil Crump & Dave Jessup. 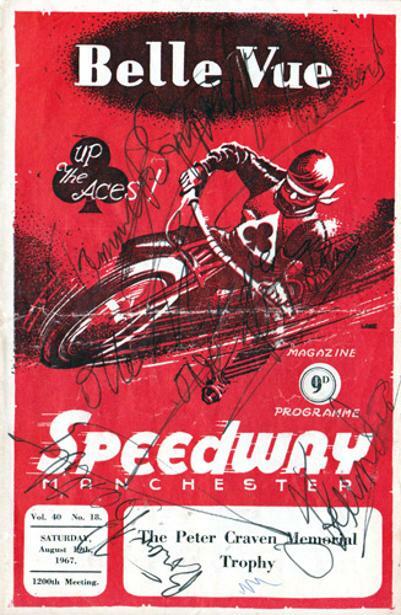 Unknown autographs on front & back cover.